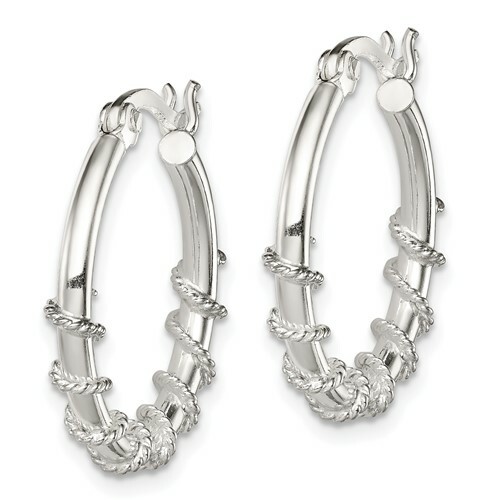 Sterling Silver Wrapped Hoop Earrings. Weight: 1.37 grams. Measures 13/16 inch tall. This item is slightly larger than a penny.